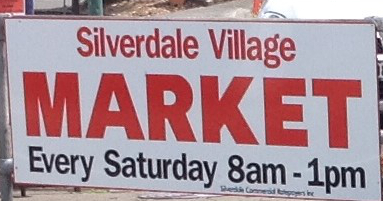 Silverdale Village Market has been in existence for in excess of 30 Years. Beginning primarily as a Farmers Market, specialising in locally produced food items the market has expanded to cover a wider range of goods. Nearly 100 craft persons sell Art, Jewellery, Table Linen, Baby Clothes, Pet Mats, Traditional Toys, Cosmetics and specialty Food Items. Vintage & Collectables, New & pre-­loved Books, Plants and seedlings are offered weekly beside locally grown Vegetables, Honey, Flowers and seasonal fruits.